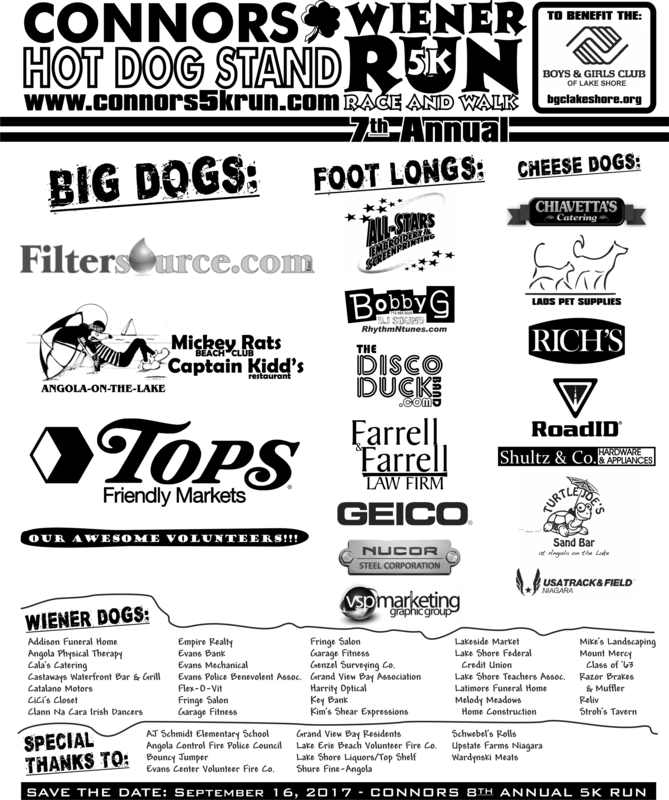 The 8th Annual Connors 5k Wiener Race is scheduled for Saturday–September 16, 2017. If you’re interested in volunteering, supporting or sponsoring next year’s race please don’t hesitate to contact Race Director: Jeff Connors or Tiger Schmittendorf, marketing chair for the Boys & Girls Club of Lake Shore. Here’s the link to all the photos by Tiger Schmittendorf. Collect the whole set! ← REGISTER NOW FOR OUR 7TH ANNUAL 5K!